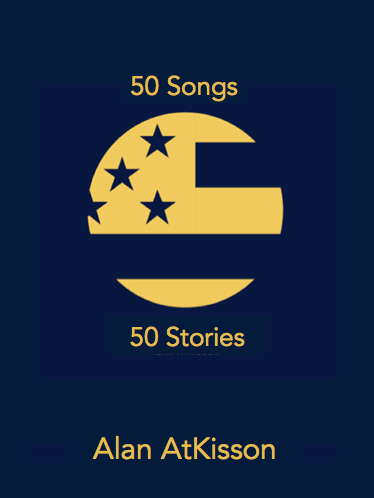 First in a series of entries that will eventually be gathered into a book with the working title, “50 Songs, 50 Stories”. This band of a dozen singers and a dozen instrumentalists was (fortunately) far more than a glee club. Under the direction of the late Leland Bennett, who also directed one of New Orleans’ best professional show bands (“Jubilation”), it was an excellent training ground in both musicianship and showmanship. We learned a challenging, ultra-modern repertoire. We learned to sing and dance and hold a large crowd. The Tulanians were serious business, and experience gained there nurtured the careers of numerous future professionals who went on to careers in New York, Las Vegas, and Los Angeles. Thanks to Leland Bennet and the Tulanians, and the wonderful culture of New Orleans, I gained the confidence to call myself a musician. Twenty years and several careers later, I was invited back to Tulane to give a lecture at a conference on environmental law. My former philosophy professor, Michael Zimmerman, was now a good friend. He in turn had an old friend named Pres Kabacoff, a business leader in New Orleans. Pres, who was a bit left-leaning in his politics, had recruited his old friend (and competitor in the real estate sector) Quentin Dastugue to co-chair a new economic development initiative under the aegis of a regional business group. And that group invited me to give them a presentation. This remark came as a shock. I had assumed that the last thing that a group of button-down New Orleans business leaders would want from me was a song — but here it was, a put-you-on-the-spot request that could not be refused. So I duly stood back up and delivered an á capella version of my song “The Parachuting Cats.” (You can see a version of this at the end of my TEDx talk on YouTube.) The song brought smiles and warm applause — and it helped me win a large contract for my consulting firm. About a year into our regional project, Quentin Dastugue — a somewhat larger-than-life business figure also known for his very conservative politics — took me to lunch. This lunch was of the two-martini variety. The second martini made it hard to say no when Quentin presented me with another musical request: he believed that our regional initiative, which was called “Top 10 by 2010,” was in need of a theme song. You, he said, are just the man to write it. I was hesitant, but Quentin upped the ante. He could probably get Aaron Neville — the undisputed king of New Orleans’ jazz-rock — to sing the song. How could I not say yes? A few months later, with the final celebration of our initiative just weeks away, I was still struggling to compose an appropriate theme song. “Top 10 by 2010” was an enormously ambitious initiative. The regional goal was to move up into the top 10 of the Forbes Magazine list of “Best Places to Live and Work in the United States” within ten years. At the time, New Orleans was down around number 200. The New Orleans region, in those years before Hurricane Katrina came and destroyed so much of that great city, was already in need of serious encouragement. I pulled out my notebook, sitting there by the Opera House, looking out over waters half a planet away from New Orleans, and the lyrics to “Goin’ to the Top” — built around the image of flying swiftly up a mountain — flowed easily out of my pen. Later, so did the music: all I had to do was imagine Aaron Neville’s beautiful tenor-falsetto, and all the wonderful nuances he would bring to those words. But as the time approached for the Big Event — a one-day forum, followed by an evening dance party, celebrating the success of the first stages of Top 10 by 2010 — it became clear that Aaron Neville was not going to be available to sing “Goin’ to the Top.” It became equally clear, from both Pres and Quention, that I was expected to step into that gap, and perform the song myself. So I quickly wrote a chord sheet, and worked quickly with the band that had been hired for the event to teach them the song. Their lead guitarist was watching my fingers like a hawk as I played it on my acoustic guitar; the rhythm section quickly figured out the simple pop-song structure. The performance itself was rough … but it worked. Then a dozen years passed. Prior to being recorded in 2013 for my album American Troubadour, “Goin’ to the Top” was only performed that one time, and it was not sung by Aaron Neville, but by me, the “singing sustainability consultant,” stepping back on stage in the Crescent City of New Orleans for the first time since I had left that extraordinary musical training ground, twenty years earlier.